In organic chemistry, an “olefin” or “alkene” is a molecule containing at least one double bond between carbon atoms. Polyethylene (PE) and polypropylene (PP) are “poly” olefins. The double bond is the means by which these molecules are joined together in a long polymer chain. Ethylene “mers” can be strung together like beads on a string to form polyethylene. Different kinds of polyethylene can be made, depending on the number of “mers” in the “polymer.” A single polyethlylene chain may contain thousands or tens of thousands of carbon atoms. The physical properties of synthetics are essentially those of the polymers from which they are made. The king of the polymers is polyethylene, or PE. It is produced in the highest volume globally and its production (or consumption!) is considered a measure of industrial growth. The second most common polymer in the world is polypropylene, or PP. According to a report from GBI Research, the global PP market is predicted to reach 62.4 million metric tons by 2020. In terms of end-use consumption, construction currently accounts for 5 percent of the PP market. Synthetic underlayment products are frequently characterized in terms of weight or, more precisely, areal weight, so it's worthwhile to examine what exactly is meant by the “weight per unit area”. The units for areal weight are typically given as grams per square meter (GSM). Areal weight is easy-to-measure and meaningful. It describes the amount of polymer in the underlayment, allowing synthetic underlayment products to be compared to each other and also to other types of underlayments. There is more to scrim than meets the eye. The scrim is woven from polypropylene threads or filaments. Scrims are used in everyday life to bag oranges, grapefruits and onions in the food processing industry. One can see them at local grocery stores or in the refrigerator. The roofing industry initially was reluctant to adopt the new synthetics. By way of comparison, the industry literally had decades of experience with modified bitumen. 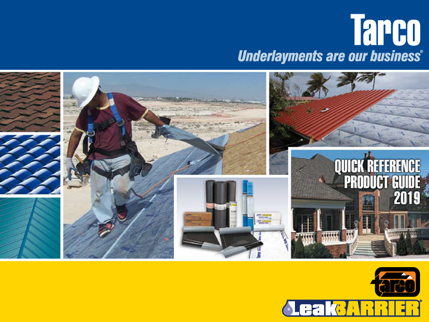 As a result, residential roofing contractors were eager to adopt the premium self-adhering underlayment and these were readily accepted by the industry as a premium underlayment. For residential roofing, it has been argued that the underlayment need only shed water because of the steep slopes of the roof. And furthermore, the primary roof (whether shingle, tile, metal or other material) protects the underlying material from ultraviolet radiation. Such arguments led to the idea of using an extremely thin layer of plastic as an underlayment. But experience with the synthetics was lacking. Synthetic underlayment gained notoriety as being unsafe because the sheets would become slippery when wet. Especially the early versions were deemed unsafe and hence many contractors preferred to use familiar materials.